Apart from being a business friendly city, Dubai is also famous for providing high lifestyle and basic facilities for its citizens and expats. This high lifestyle in affordable price is a vital reason that millions of people from around the world have made Dubai their place of residence, and their numbers are increasing continuously with the passage of time. Quality of healthcare in Dubai is comparable to that of USA and Europe and the healthcare and medical facilities in the tiny gulf city are available at far below charges as compared to its competitors. It is the reason that World Bank ranked Dubai as the second most popular destination for medical tourism in the world. 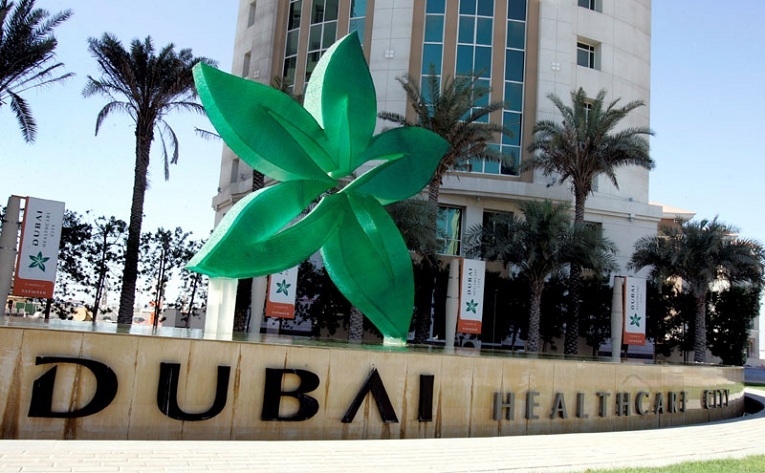 Public and private healthcare sector in Dubai is managed by Dubai Health Authority (DHA). But the government of Dubai is not satisfied by providing normal health measures and it decided to launch a free zone specifically for health sector. For this purpose, the Dubai Healthcare City (DHCC) was launched in 2002. The purpose of this healthcare specific free zone is not only to provide best medical facilities to citizens and residents of Dubai and UAE but also to attract foreigners from all around the world for medical tourism. The DHCC remained quite successful in achieving its goals as medical tourists from Arab World, Asia and Europe are using the best and affordable health facilities of DHCC every year. Currently, around 1.5 million people are visiting DHCC per annum and around 15% of these are medical tourists. The situation clearly reveals the prospects of opening medical and health related facilities in DHCC. Setting up a health related business in DHCC is not only easier that can be established with lower budget but it is also full of lucrative opportunities including 100% ownership, 100% repatriation of profits, exemption from taxes & duties, simplified workforce recruitment process and clients from large number of well off locals and foreigners. The investment opportunities are available for big companies intending to start a full fledge hospital, along with professionals who want to establish their own clinic or work in any already established hospital. Currently, only phase 1 of DHCC is operational that is providing healthcare and medical education facilities. Phase 2 is under construction and it is reserved for wellness and hospitality services. Apart from providing business opportunities, DHCC is also a perfect place for medical students and researchers as medical education and research facilities are available in this health-related exclusive free zone. Along with doctors, chemists, surgeons and other modern professionals, individuals related to alternative medicines are also allowed to set up their business and take advantage of the opportunities available in DHCC. If you are willing to establish a hospital or clinic in DHCC then you will contact DHCA (Dubai Healthcare City Authority) for this purpose. The authority will issue you license after examining your eligibility according the requirements of the business. For this purpose, you will submit application along with necessary documents. You can easily accomplish the whole procedure by contacting Riz & Mona Consultancy. We are helping individuals and corporations setting up businesses in DHCC and other free zones of Dubai and other emirates of UAE since past several years. Our WhatsApp # is 971-56-9971225.